Less than 30 percent of U.S. adults consume the Recommended Daily Allowance of magnesium, a key mineral that plays a role in more than 300 biochemical reactions in the body and is particularly important for muscle health and energy production. 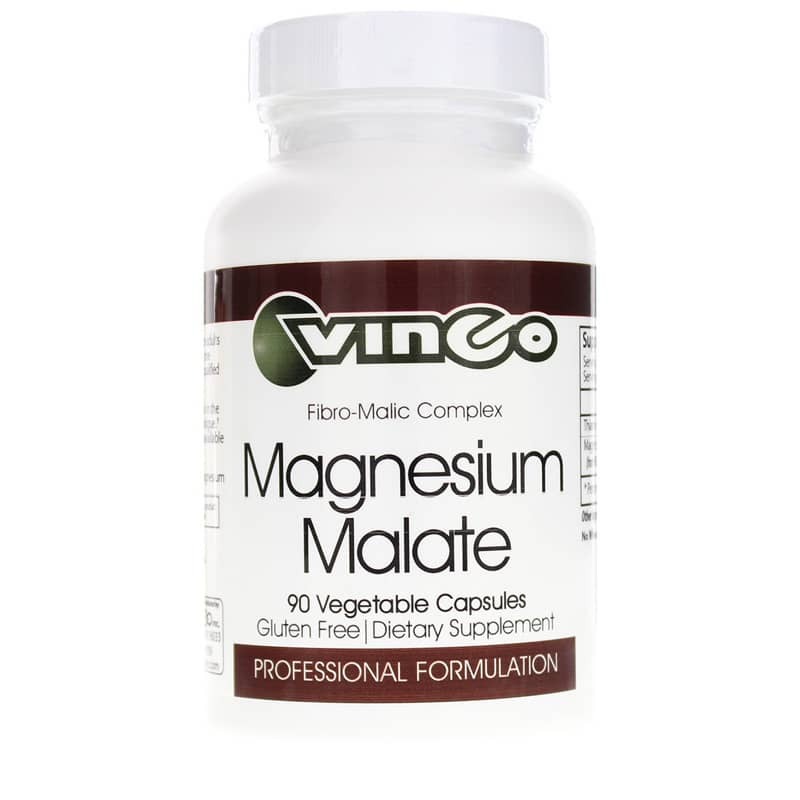 Make sure you get the magnesium your body needs with Magnesium Malate by Vinco's. 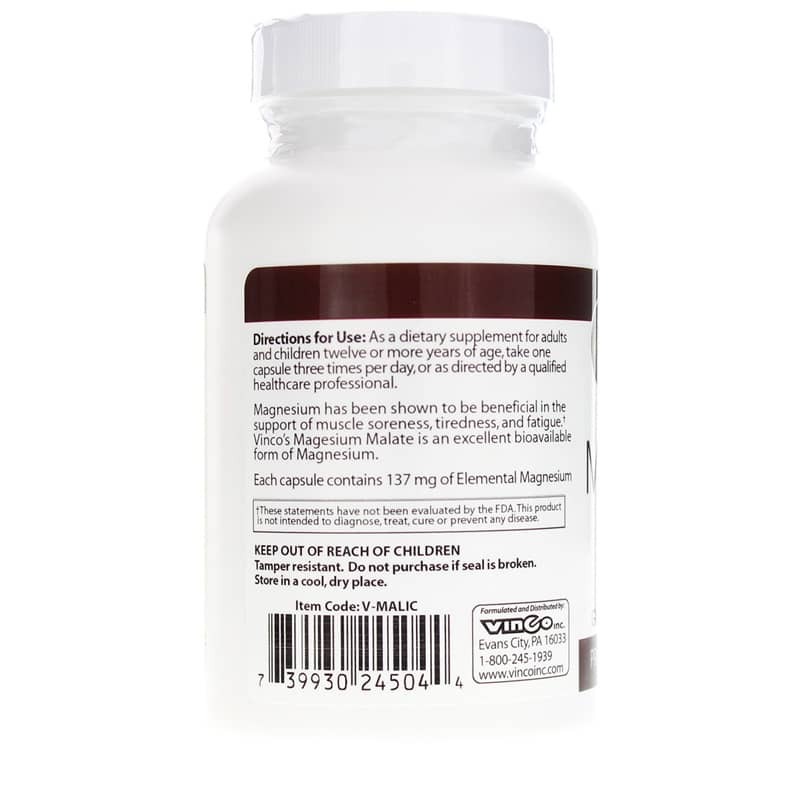 This supplement includes a highly bioavailable form of magnesium and thiamine to support reduced muscle soreness and fatigue, helping you to more fully enjoy each day. Magnesium deficiency at its early stages can cause loss of appetite, nausea, fatigue, and muscle weakness with much more severe symptoms occurring if levels are not restored. Individuals with certain medical conditions may be at increased risk for deficiency, including those with gastrointestinal disorders, insulin resistance and alcohol dependence. Since magnesium is particularly important for muscle function and energy production, Magnesium Malate may be particularly beneficial to individuals experiencing chronic muscle soreness and fatigue. Don't sit out on life because you're just too tired. 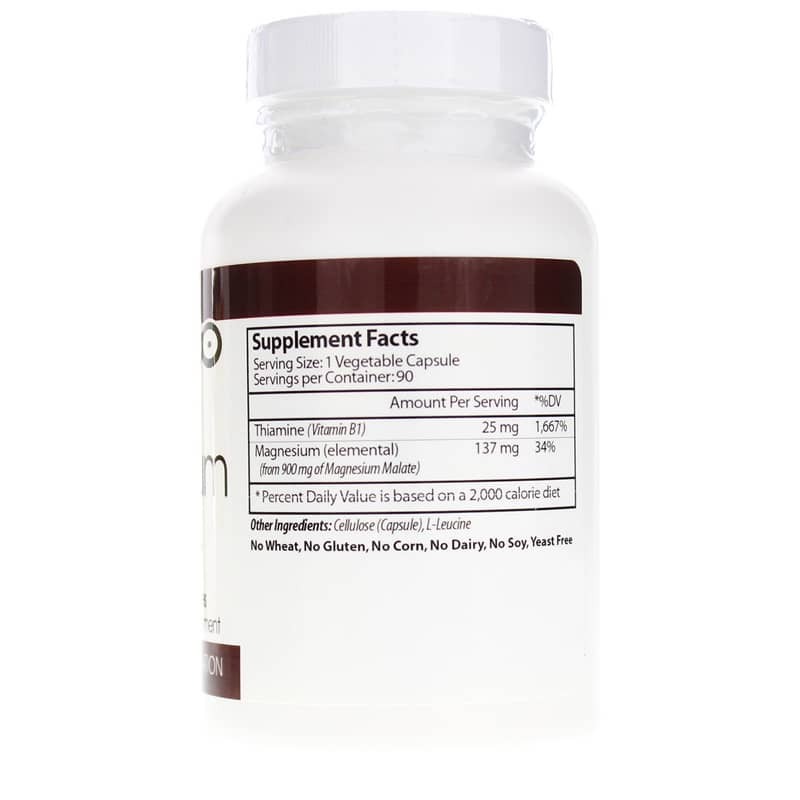 Get back your energy and back to life - order Magnesium Malate. Other Ingredients: cellulose (capsule), L-leucine. Adults and children 12 and up: As a dietary supplement, take one capsule three times per day, or as recommended by a healthcare professional. I read through description/ingredients list of all Magnesium Malate choices and choice to buy this one because it doesn't have additives listed in "other ingredients". This is a winner! There are many kinds of magnesium out there, glycinate, citrate and malate to name a few, and they all may be absorbed different. I have been taking magnesium glycinate for probably a year and just never felt any changes and perhaps I wasn't absorbing it. I was working with an acupuncturist who told me about the malate version (attached to a malic acid like what apples have) and it can also help support the liver/gallbladder. My main goal was less stiff back and muscles and we could all use liver support! Within DAYS I felt better, less back pain (was blaming the bed) and honestly I have less crepitus in my joints. I am sold. It has good nerve supporting ingredients too. I take 1-3 nightly I cannot recommend enough if you are experimenting with different forms of magnesium and have not tried this, and this I would try first! Recommended for those with low stomach acid. (which is most of society). Helps with sleep as well and some bowel function, but not too harsh.